From the late 1960s until the present day, a significant number of women playwrights have emerged in Scottish theatre who have made a pioneering contribution to dramatic innovation and experimentation. Despite the critical reassessment of some of these authors in the last twenty years, their invaluable achievement in playwriting, within and outside Scotland, still deserves more thorough investigations and fuller acknowledgement. This work explores what is still uncharted territory by examining a selection of representative texts by Ann Marie di Mambro, Marcella Evaristi, Sue Glover, Jackie Kay, Liz Lochhead, Sharman Macdonald, and Joan Ure. The three macro-thematic areas of the book – the rewriting of the Shakespearean canon; the representation of female communities and minorities; and the conflicts between the self and society – find significant and paradigmatic expression in their dramas. All seven writers examined in this book have explored new theatrical methods, introduced aesthetic innovations and opened new perspectives to engage with the complexities of national, community and individual identities. This study will surely contribute to wider recognition of their achievement, so that their work can never again be described as “uncharted territory”. Gioia Angeletti took her Ph. D in Scottish Literature at the University of Glasgow in 1997. She is Associate Professor of English literature at the University of Parma. Her major publications include: as author, Eccentric Scotland: Three Victorian Poets. James Thomson (“B. 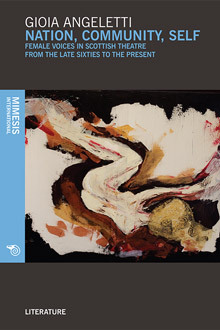 V.”), John Davidson and James Young Geddes (2004), and Lord Byron and Discourses of Otherness: Scotland, Italy, and Femininity (2012); as editor, “Esotismo/Orientalismo”, a double issue of La Questione Romantica (2004), Emancipation, Liberation, and Freedom: Romantic Drama and Theatre in Britain, 1760-1830 (2010), and, with Valentina Poggi, a volume on the Scottish playwright Joan Ure (2010). She is presently working on a book-length study about Scottish migration literature (Mungo Park, John Leyden, and Thomas Pringle) in the Romantic period.